Blessings have, throughout human history, helped man to ground himself in difficult times and situations. This compilation casts its net wide to gather spiritual wisdom from a range of sources--the Celts, Buddhists, Sufis, and the major religions. 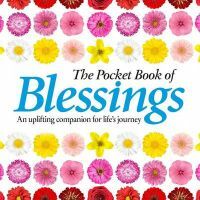 All the blessings are timeless and relevant and will guide the reader to a better psychological and emotional place. When life gets difficult, this book will be there to help you cope. Anne Moreland is a freelance writer and journalist. She has an MA in philosophy, and also has trained as a psychotherapist. Her father was a naval officer and the family traveled widely, inspiring in her a continued interest in the myths, legends, and religious cultures of many different countries around the world, especially in the Far East. She has two adult sons and currently lives in Cardiff, Wales, with her husband, who is also a writer.